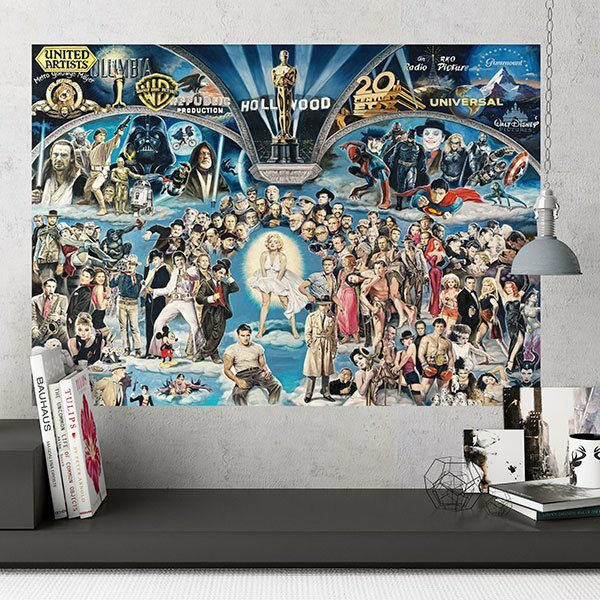 Adhesive vinyl poster Hollywood. 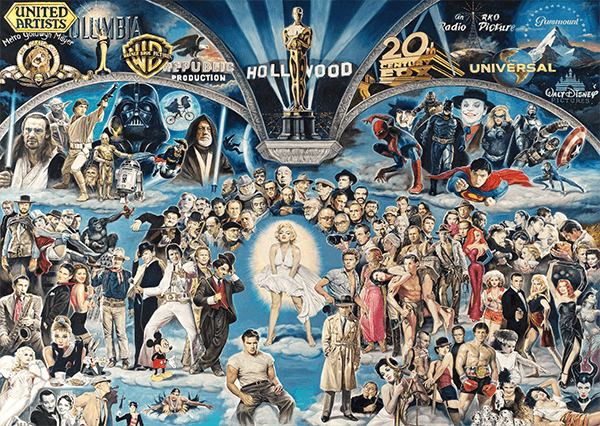 Spectacular composition of Hollywood characters, directors, actors and logos throughout its history. From the brands of the most important production companies, to characters from sagas like Star Wars or superheroes from DC Comics, passing through mythical actors. 15.75 x 11.02 in. 19.69 x 14.17 in. 23.62 x 16.93 in. 27.56 x 19.69 in. 31.50 x 22.44 in. 35.43 x 25.20 in. 39.37 x 27.95 in. 43.31 x 30.71 in. 47.24 x 33.46 in. 51.18 x 36.22 in.